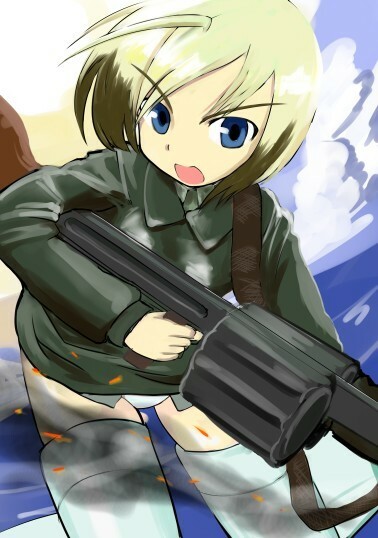 Erica Hartmann. . Wallpaper and background images in the Strike Witches club tagged: strike witches cute adorible. This Strike Witches fan art contains fuciliere, berretto verde, forze speciali, soldato d'elite, soldato d'elite green beret, and forze speciali. There might also be navy seal, sigillo, guarnizione del blu marino, and guarnizione.